Best in lifting - Carl Stahl - løftegrej, stålwire, kædesæt, rundsling m.m. 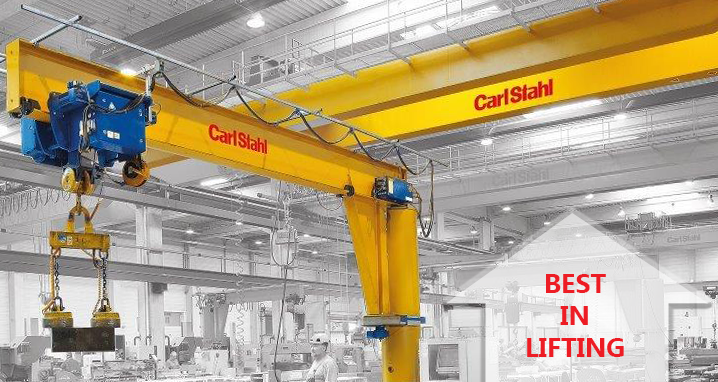 At Carl Stahl A/S we’re passionate about our profession, and we see it as one of our most important tasks to continuously develop our professional knowledge and product range, in order for you to achieve a higher safety as well as efficiency in your daily work with cranes, lifting gear and fall protection equipment. As a part of Carl Stahl International we have the support of a strong mother company with over 138 years of know-how along with many of our other sister companies throughout the world. We’re constantly developing new products for our collective product range, which as of today consists of around 12.000 item numbers. Our employees have many years of experience within the industry, and regularly undergo further training to be able to offer the best advice and service for the products. Therefore, we also have the skills to help you with even the most complicated lifting operations as well as creating custom solutions.